Maxfone Mobiles has come up with five new handsets in Indian market.Maxfone Mobiles focuses on models with lasting Battery phones, Music phones, Internet phones, Business phones and Entry level phones with superior quality.All models of maxfone come with great features and looks at an affordable price range. MQ01 is a Dual Sim and Dual Stand By phone. This phone is a dedicated qwerty phone for message lovers to create a speedy chat over the phone. Wireless FM Radio help to enjoy the music and FM Recording makes digital Camera keep you connected with your loved ones. Other features like LED Torch, Blacklist, Shaking the wallpapers, FM and MP3 make it a complete multimedia phone. Its Bluetooth & Video Recording help you to share your picz, videos and songs with your friends. GPRS, WAP and MMS make you connected over the internet.This phone comes in stunning Black Color. This model is priced at approximately Rs 2499 making it a complete value for money. M301 is Long Lasting Battery Phone mobile comes with extra long battery life up to 30 days standby. This phone is very good looking with crystal glass keypad and Steel Back Cover. It support T-Flash and plays Loud Music. Dual Sim, Music player, Bluetooth, Camera, FM, MP3/MP4, Blacklist and Password Protected makes your phone secure. It has a good browsing speed. This multi feature model comes in Black color and is priced at Rs.2199. M201 is the Long Battery Phone with 30 days battery backup and 1.8 “TFT Screen. This mobile handset offers the features like Camera, MP3, SMS, MMS, Expandable Memory upto 2 GB and Blacklist. This phone has Loud music with 3.5 MM Audio Jack. This phone comes in Business Sliver color and is priced Rs. 1999. M101 is a Slim Phone with One Touch Wireless FM Radio, Call Timer, Call Waiting, Call Divert and Loud Ringtone. It support upto 2 GB Flash Card and 1.8 “ Screen Size. This handset comes in grey color and available at Rs. 1599. M102 has 1.8 “ Screen Size and features like Sound Recorder, Torch, FM Radio, MP3, Blacklist. This is also a long battery phone with smart look. This phone comes in Black Front Color and White Back Color and priced at Rs 1569. Tata Docomo 3G Plans – Fits For Whom? 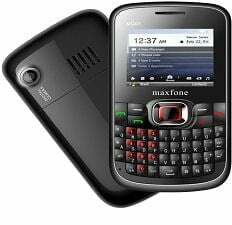 maxfone mobile very nice looking mobile with lots of configration cost effective and with a great sound. MAX Mobile hand set looks very cute.Whether the hand set is available at Ahmedabad?If anybody knows convey me please.